With the Academy Awards just around the corner, all of us (nominees and fans alike) can get whipped up into a froth over who should win. And while the nominees who DON’T get to pick up a trophy always respond like the gentlemen and ladies they are by reciting the “…just being nominated is recognition enough” mantra, we tend to forget that the Oscars are not the immortalization of all that is good, or that those who were not nominated will not be forgotten to history. 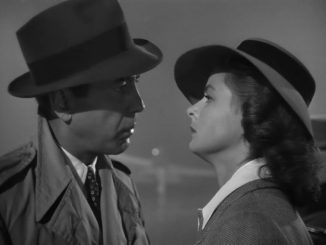 So here for your reading and debating pleasure is my highly subjective list of the 5 most important films that “…shoulda been a contender,” in chronological order. We’re talking about great films that did not even get a nomination. Feel free to grouse in the comments below. 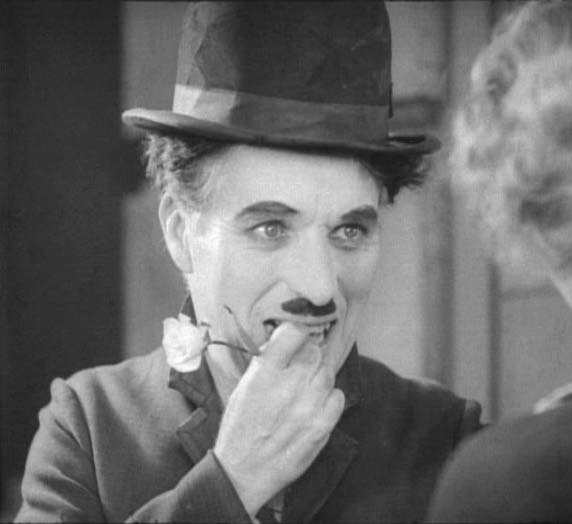 Started in 1928, Charlie Chaplin’s greatest work remained a silent film with synchronized sound effects and his own musical score. Released during the onslaught of talkies, it persevered despite conventional wisdom that a silent film was an anachronistic curio of the past. It stands today as a monument to his career, with an ending that film critic James Agee believed to be “the greatest piece of acting and the highest moment in movies.” Modern Times, released 5 years later, is also one of his greatest films, and also received no nominations. Was it his scandalous personal life or his questionable political affiliations that soured him with the Academy? Either way, like Hitchcock, Chaplin was and is one of the greatest directors to be “virtually” ignored by Oscar. Available for stream through Hulu. When most people think of Henry Fonda and John Ford together, they immediately go to The Grapes of Wrath, definitely one of the greatest social dramas from classic Hollywood. But this, the strongest film version about Wyatt Earp and the Gunfight at the OK Corral, stands out as arguably John Ford’s greatest western. Each scene is rendered with depth, subtlety, and power. And the director’s ability to seamlessly change tone from drama, action, comedy to romance is only matched by the ensemble of actors who could work flawlessly within those confines. 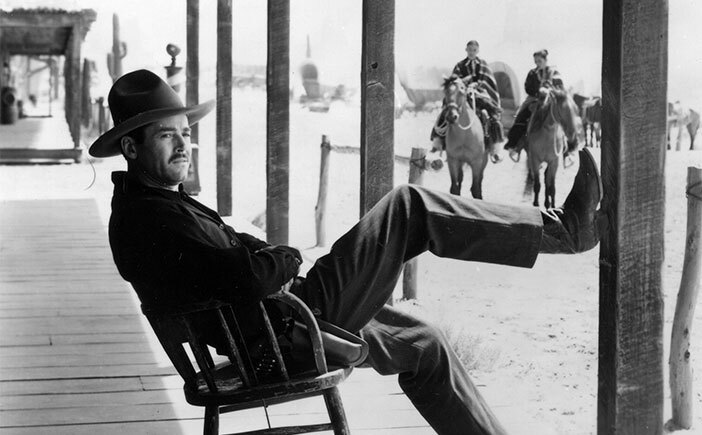 While the showcase is the final gunfight, the scenes that always resonate in my memory are the quiet ones; Henry Fonda perched on the porch chair on a Sunday morning, playing a balancing act with a wood beam, self-loathing Victor Mature fishing a bullet out of Linda Darnell while far in the distance; drunks howl, or the quiet march of Wyatt Earp and his brothers before the gun storm. For more of my fawning about this film, go here. Foreign films have always had a tough time in the Xenophobic States of America, so it’s not mind-blowing that this, Akira Kurosawa’s crowning achievement, was ignored, especially less than ten years after the end of WWII. But when you put it into the context of film history and cultural impact, the exclusion of this epic is criminal. 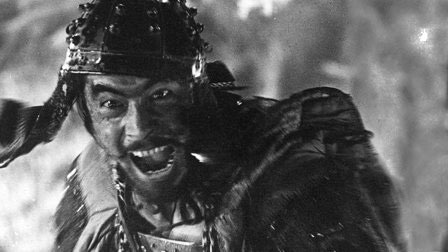 Oft remade and repeated in every genre one can think of, most notably westerns, (The Magnificent Seven), Seven Samurai still dazzles today as Ronin (masterless Samurai) roam the countryside– once revered, now a pestilence– looking for work and reduced to protecting a village from bandits. All seven have unique and layered personalities, from the wise leader (immortalized by Takashi Shimura’s brilliant performance) to the man-child with a lot more going on under the surface (indelibly rendered by actor-God Toshiro Mifune), they train, bond and fight with the villagers whose very existence depends on them. To see this film once, is to be permanently altered. Yeah, I did just say that. Available for streaming through Hulu. 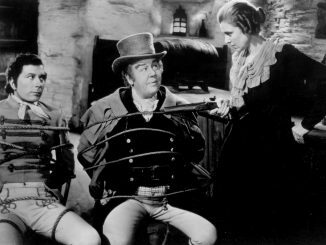 For his only outing as director, actor Charles Laughton decided upon this warped fable of good vs evil, the story of an insane “preacher” who marries and murders a widow and chases her children down for $10,000 in hidden treasure. 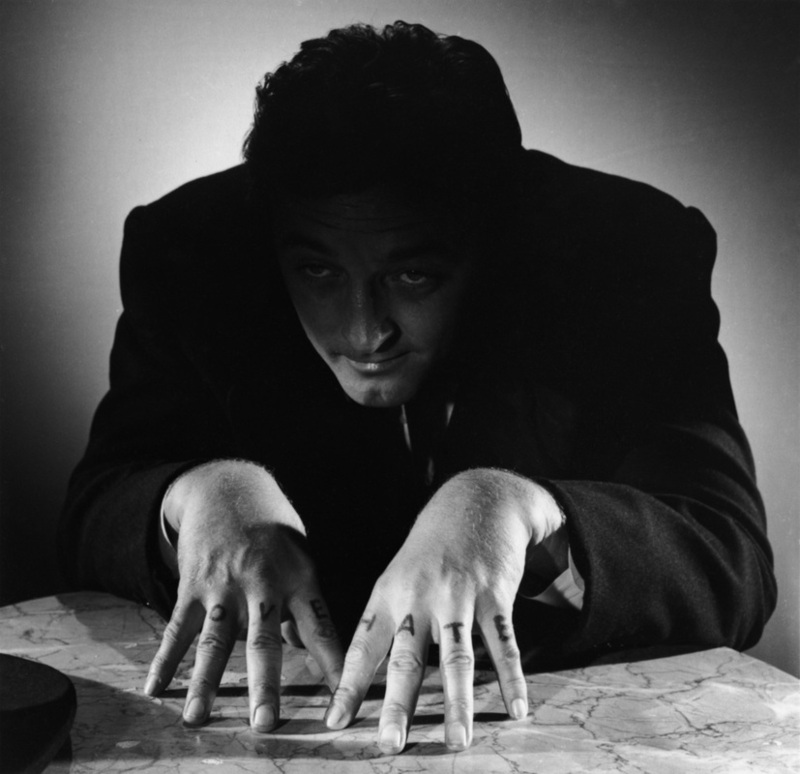 Sporting “HATE” and “LOVE” tattooed across his knuckles, Robert Mitchum is frightening, hilarious and seductive as the psychotic religious fanatic, a character whose shadings would turn up again in Martin Scorsese’s remake of Cape Fear. In that film, DeNiro’s sing-songy calling out to Nick Nolte’s “Counselor? Counselor?” is done with the same chilling menace as Mitchum’s “Children? 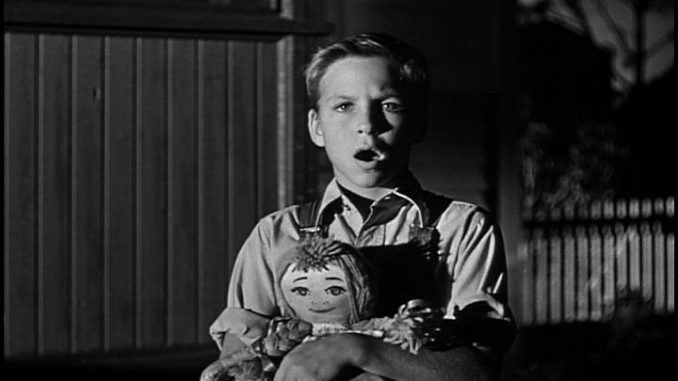 Children?” in Night of the Hunter. 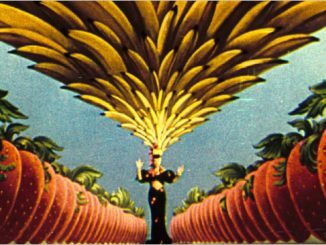 Laughton’s obsessive specificity supposedly made this great piece of art too much of a spiritual burden for the actor turned director, and he never made another film. Which is a pity, because his eye and ear for moviemaking were pitch perfect. Available for streaming through Amazon. Beautiful, majestic, exciting and tragic, John Ford’s widescreen Technicolor examination of vengeance, obsession, and racism has made it onto many top 10 lists. It is also considered one of John Wayne’s most multi-layered and sensitive performances. A dishonored Civil War vet goes on a years long trek to find and rescue (or kill?) his niece, kidnapped by Indians after his last remaining relatives are slaughtered. 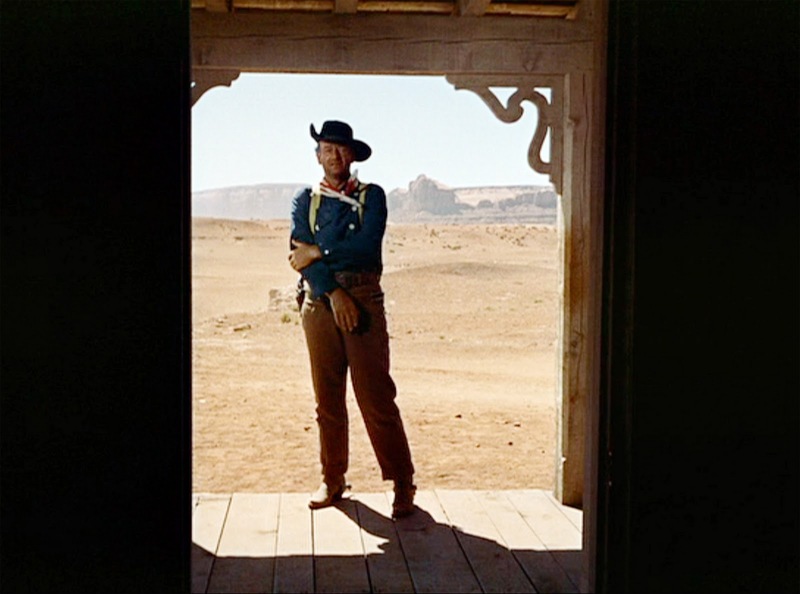 From the opening shot, bursting through a door out to Ford’s Monument Valley, to the final image of Wayne in the same doorway, posed in honor of early cowboy Harry Carey, then turning and facing an unknown future as the door shuts behind him, this is one of the most rich, stirring and powerful films of all time. As has been proven in the past and decades since, Oscar don’t like Westerns. Or comedies. Or horror. Available for streaming through Google Play. A wonderful list, Wade; but “Seven Samurai” was actually nominated for two Oscars, for Best Costume Design and Best Art Direction of 1956. Or did you just mean films that weren’t nominated for Best Picture? Not nominated for Best Picture. Five more having this dubious distinction (deliberately choosing another quintet not mentioned in your fine article): The Wicker Man, Body Heat, After Hours, Zodiac, and The Immigrant.